BenQ recently introduced a new Touchscreen camera, named BenQ DC T1260.The all new BenQ DC T1260 compact camera features HDR Image Enhancement technology that helps to provide a clear display of the details in the darkest and brightest areas of the photos taken. BenQ DC T1260 camera comes equipped with a 3-inch touchscreen display features touch UI that aids for better control for focusing the camera.For cropping the picture you just need to enable the crop function and with the help of finger you could just cut the part of the picture and crop it. New BenQ DC T1260 camera houses a 12-megapixel CCD and a 4x optical zoom wide-angle lens. BenQ DC T1260 camera comes available with a 12 MB of integrated memory and for memory expansion SD/SDHC memory card slot is provided.The new BenQ touchscreen camera has a shutter speed range of 1-1/2000 sec and an ISO range from 100 to 3200. The BenQ DC T1260 camera features Face Detection, Smile and Blink, as well as Super Shake-Free for taking high quality images.The camera supports 720p HD video recording of 1280×720 pixels resolution at 30fps (frames per second).The BenQ DC T1260 camera also includes a USB 2.0 port, an audio jack and an accelerometer that helps in automatically rotate images on the screen. 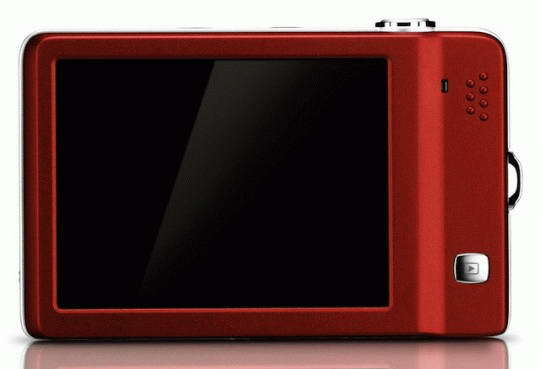 BenQ DC T1260 touch screen camera weighs 110 grams and its dimensions are 92×58x16 mm.Price and release date of the new BenQ DC T1260 12MP Touchscreen HDR Camera are not revealed yet.. 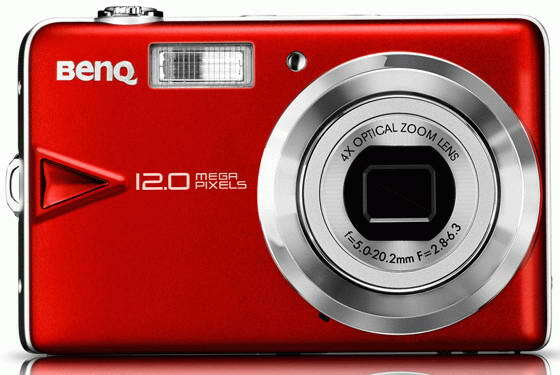 Tags:-12MP camera, BenQ, BenQ DC T1260 12MP Touchscreen Camera details, BenQ DC T1260 12MP Touchscreen Camera features, BenQ DC T1260 12MP Touchscreen Camera specifications, BenQ DC T1260, BenQ T1260, Camera, DC T1260 camera, HDR Camera, Touchscreen camera.